Imagine that you’ve been designing cars for a hundred years, and out of nowhere, some fancy guy in California with no automotive experience thinks he can do your job. And worse yet, he actually can. That’ll get under your skin. Well, a recent finance call with former Chevy Volt chief engineer demonstrated once again that Detroit is still not buying the Tesla hype. And then there’s Sergio Marchionne, delusional head of Fiat Chrysler Automobiles, who claimed that he could build a Tesla Model 3 competitor and get it on the market within 12 months, if he felt like it. This makes a lot of sense, much in the same way that I can hit a home run at Comerica Park, I just don’t want to embarrass the professionals on the Detroit Tigers. Marchionne, like Lutz, just can’t see how Tesla can do what his company cannot. “If we can’t do it, with our hundreds of thousands of employees and unfathomably complicated bureaucracy, neither can they,” is the mentality of these well-established automotive giants. But whether the Model 3 is profitable or not, for Marchionne to claim that he can design and manufacture a car that competes with it in only a matter of months is not just an insult to Tesla, it’s pretty much an insult to his own investors. It’s just another old-timer exec from Detroit’s “Big Three” who thinks “if the new guys can do it, so can we.” Never mind that there’s never an explanation as to why they haven’t already. But we could forgive a CEO for outlandish and dumb statements. That’s pretty much a CEO’s job. But that kind of thinking isn’t limited to those at the top, it permeates through Big Three culture. In a recent financial call first picked up by StreetInsider, the former chief engineer of the Chevrolet Volt broke down his predictions of the Tesla Model 3's production costs, only to be called out by Tesla’s head of investor relations. An analyst for a Swiss financial services company hosted a call with the former chief engineering of the Chevrolet Volt, Jon Bereisa. Bereisa, now the CEO of an EV-focused engineering consulting firm, broke down his estimate of Tesla Model 3 costs, ultimately concluding that the car is unprofitable and that—surprise, surprise—the Chevrolet Bolt is likely a better financial move. Jon sees the Model 3's FVC $1,510 above base price of $35k vs. the Bolt’s FVC $4,980 below base price of $37.5k. 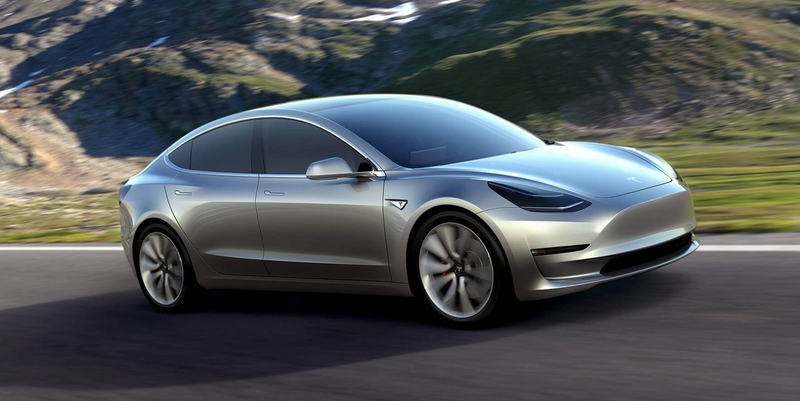 Compared to the Bolt, the Model 3 adds incremental variable cost from its aluminum content, lack of scale, extra sensors, a faster propulsion system, and higher pack costs. Jon estimates TSLA’s pack costs at $260/kWh and GM’s at $215/kWh (due to GM sourcing the cell at-cost from LG). So basically, Tesla’s saying Bereisa’s estimate on battery costs per kWh was far too high, his assumption on the car’s battery size was wrong, and his guess on aluminum content was also off. So really, the car should cost significantly less than the former GM employee predicted. I don’t know if the Model 3 will be profitable. It might not be. But regardless, this is another instance of a biased GM veteran in disbelief that Tesla can do something he and his company could not. Even though they’ve done that already, many times over. Eventually, the Big Three are going to have to stop doubting, and start competing. But I suppose it’s up to Tesla to continue to prove them all wrong.